20th May 2018. It’s a date for the diary because that’s when the MOT test changes come into effect. Every year, although you may dread it, your car has to be put through its roadworthiness test. Nobody looks forward to the bill that could be coming your way because a key component of your car has worn out and needs replacing, but it’s important and has to be done. All cars, however old or new, need maintenance but it can be very easy to neglect your car’s condition. Whether it’s worn out brakes or a windscreen wiper that doesn’t work, the MOT is in place to keep your car up to scratch and ensure that our roads are used by less vehicles with maintenance issues. The upcoming changes are a tougher set of rules, making it harder for cars to pass with flying colours. We’ll detail the changes below but if you need to bring yourself up to speed with what an MOT is and how it works, you can find more information here. Testers will grade problems as dangerous, major or minor. Dangerous and major faults will result in an instant fail. The certificate itself will also change to make it easier to understand the faults and defects. For a more detailed list of changes click here. It may sound scary but there’s nothing to be afraid of. It’s all in the name of safer driving and safer roads (and reducing the number of heavy polluting cars). 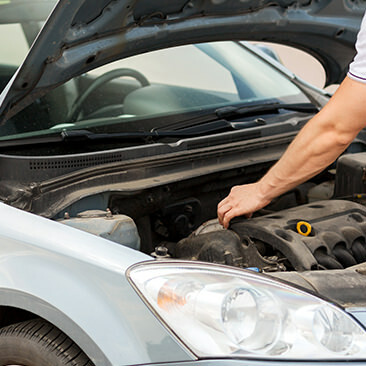 As long as you keep on top of your car’s maintenance and address the issues as they occur, it should be plain sailing. Remember, it is a condition of your insurance policy to maintain your car in a roadworthy condition and have a valid MOT certificate (if required by law).